• Class II Division 1: The molar relationships are like that of Class II and the maxillary anterior teeth are protruded. Teeth are proclaimed and a large overjet is present. 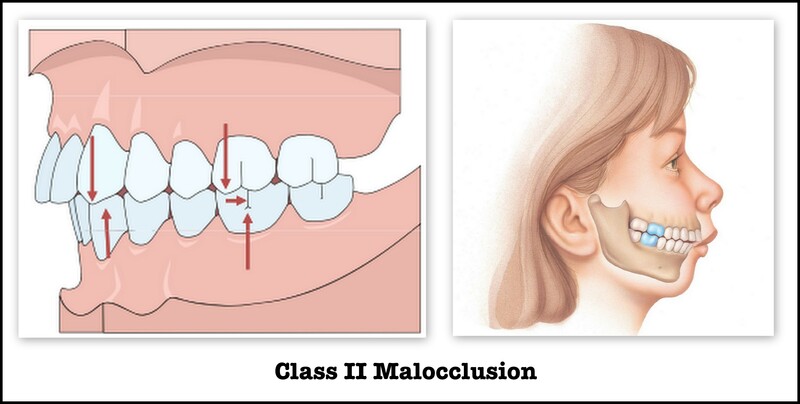 • Class II Division 2: The molar relationships are Class II where the maxillary central incisors are retroclined. The maxillary lateral incisor teeth may be proclaimed or normally inclined. Retroclined and a deep overbite exists. 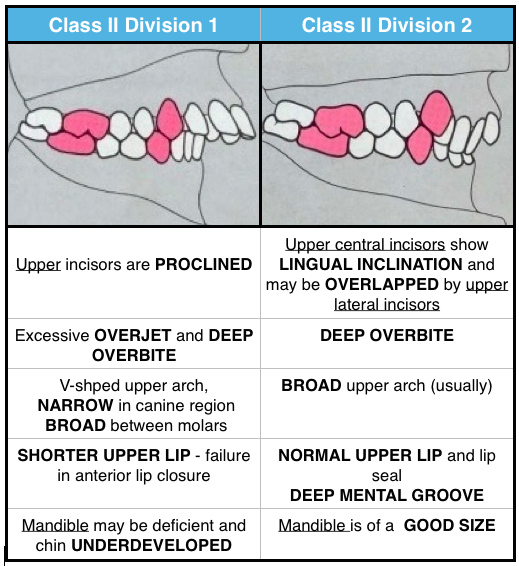 CLASS II Sub-division: Class II molar relationship exists on one side and the other side has a normal Class I molar relationship. 1. 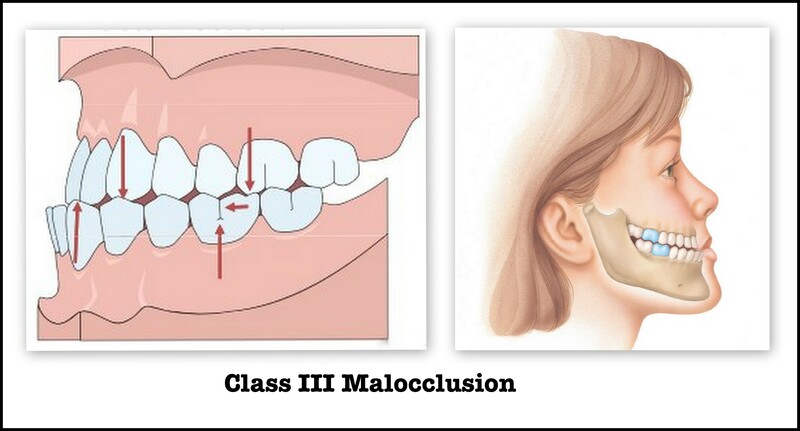 TRUE class III malocclusion (SKELETAL) which is genetic in origin due to excessively large mandible or smaller than normal maxilla. 2. 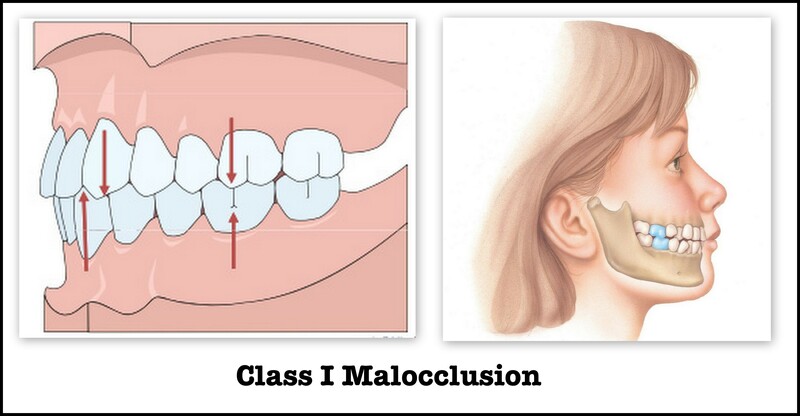 PSEUDO Class III malocclusion (FALSE or postural) which occurs when mandible shifts anteriorly during final stages of closure due to premature contact of incisors or the canines. Forward movement of the mandible during jaw closure can also result from premature loss of deciduous posterior teeth. Oh my god ! Thank you so much for this post .. It’s really helpful. My teacher just asked us these questions in class . And I didn’t know a word . I love how simply this is explained. please could you tell your references?